A.R.M. visited the 34th edition of Art Brussels, which is on view from the 22nd to the 24th of April 2016. 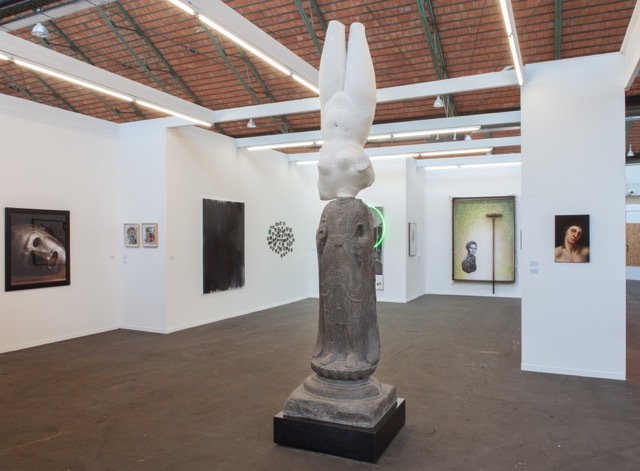 This year the fair took place in a new location, at Tour & Taxis, by the Brussels canal, and gathered 141 galleries from more than two dozen countries. In this new edition, the galleries were divided not only in the two main familiar sections PRIME and DISCOVERY, but also in a new third section, REDISCOVERY. Adding to these sections, 24 galleries participated as SOLO projects, devoting their exhibitions to individual artists and their artwork. A.R.M. 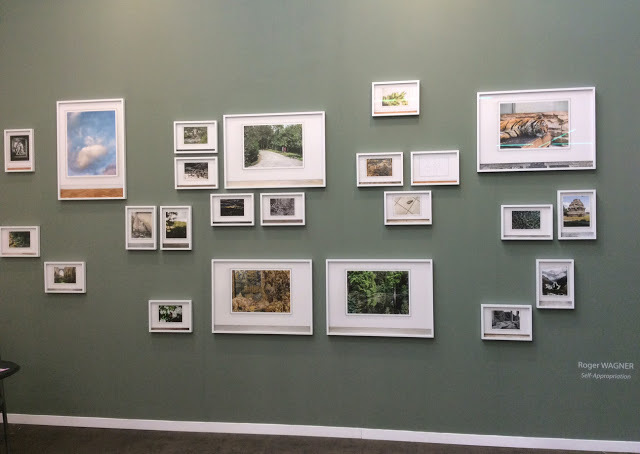 selected some of the works and galleries present in this edition of Art Brussels. 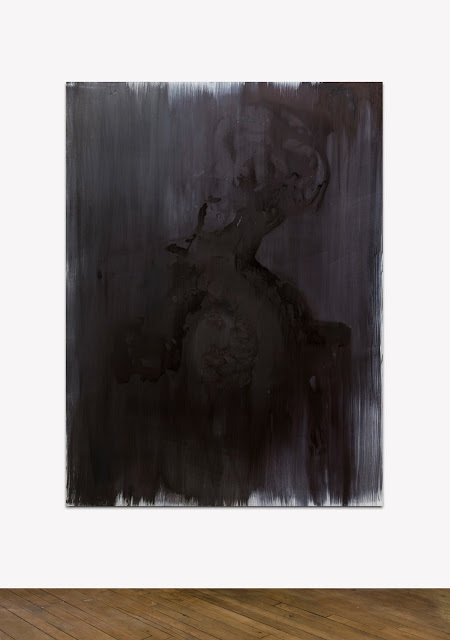 Galerie Nathalie Obadia: Works by: Lorna Simpson and Xu Zhen, Martin Barré, Valérie Belin, Agnès Varda, and others. 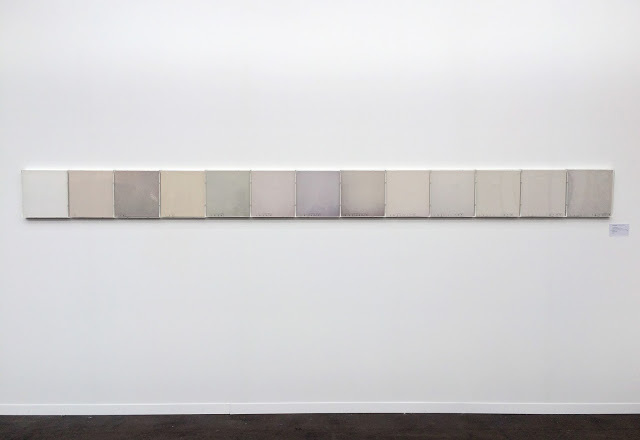 Nathalie Obadia, booth view at Art Brussels, 2016. Images courtesy of Galerie Nathalie Obadia. 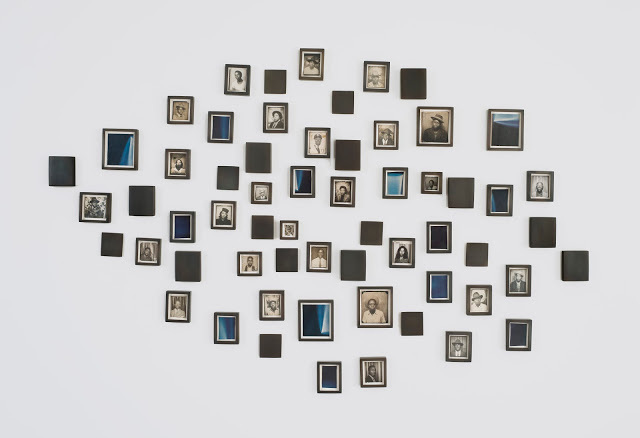 Lorna Simpson, Direct Gaze, 2014, 60 elements total (27 found photo booth portraits, 13 magazine clippings, 20 solid bronze elements) – dimensions variable, 80 x 115 cm (31 1/2 x 45 1/4 in.). Images courtesy of Galerie Nathalie Obadia. Lorna Simpson, Real Dark, 2016, Ink and acrylic on gessoed fiberglass, 170,18 x 127 x 3,49 cm (67 x 50 x 1 3/8 in.) Signed, titled, dated on the back. Images courtesy of Galerie Nathalie Obadia. Carroll/Fletcher: Works by: Richard T. Walker, Christine Sun Kim, and Rafael Lozano. Richard T. Walker, a paradox in distance (inverted) #2, 2014 (detail). Images courtesy of Carroll/Fletcher. 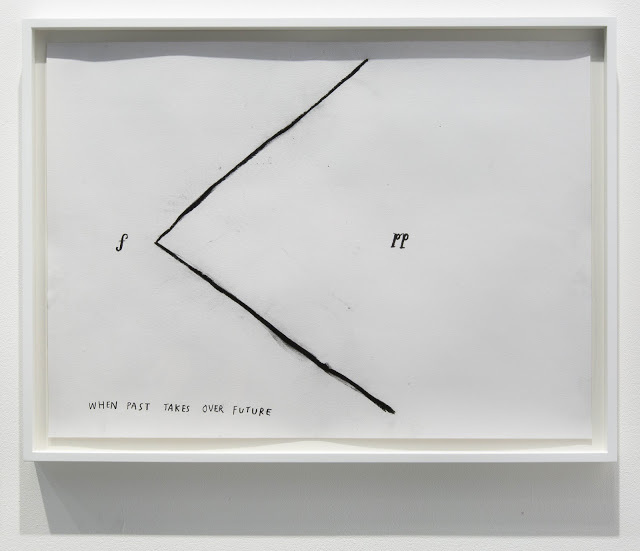 Richard T. Walker, Carroll / Fletcher booth, Art Brussels. Images courtesy of Carroll/Fletcher. Christine Sun Kim, When Past Takes Over Future, 2015. Images courtesy of Carroll/Fletcher. Christine Sun Kim, Future, Edited By Silence, 2015. Images courtesy of Carroll/Fletcher. 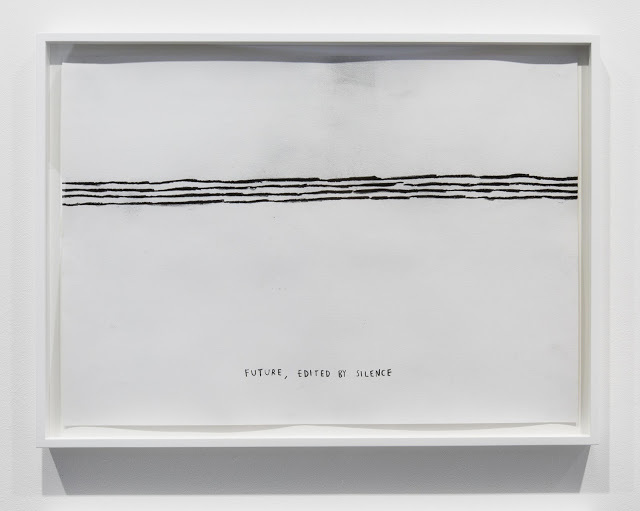 Richard Saltoun: Works by John Hilliard, Marcel Broodthaers, Henri Chopin, and Bridget Riley. John Hilliard, Untitled (Re-Photographed Card), 1972, Set of 13, 12 colours photographs on card and 1 card with ink drawing. 30 x 30 cm (each), 30 x 390 cm (overall). 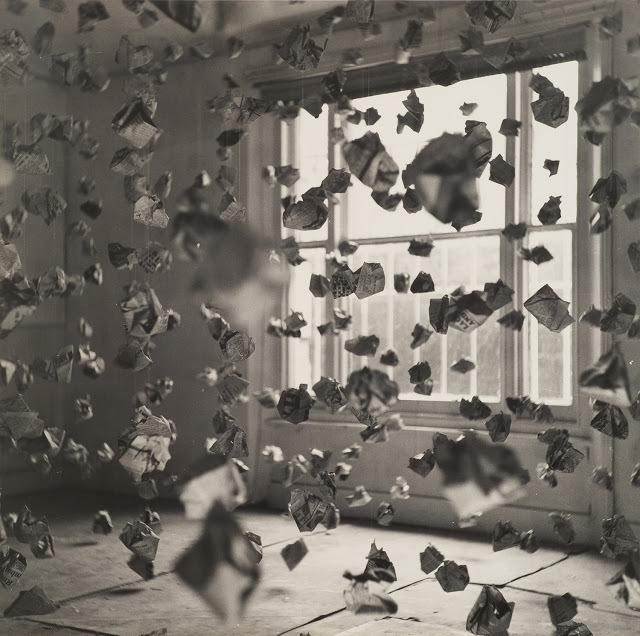 John Hilliard, 765 Paper Balls, 1969, 122 x 122 cm, black and white photograph mounted on hardboard. Copyright, the Artist, courtesy Richard Saltoun Gallery. Xavier Hufkens: Works by Tracey Emin, Louise Bourgeois, Harold Ancart, Matt Connors, Michel François, Antony Gormley, Evan Holloway, Thomas Houseago, Sterling Ruby, Walter Swennen. 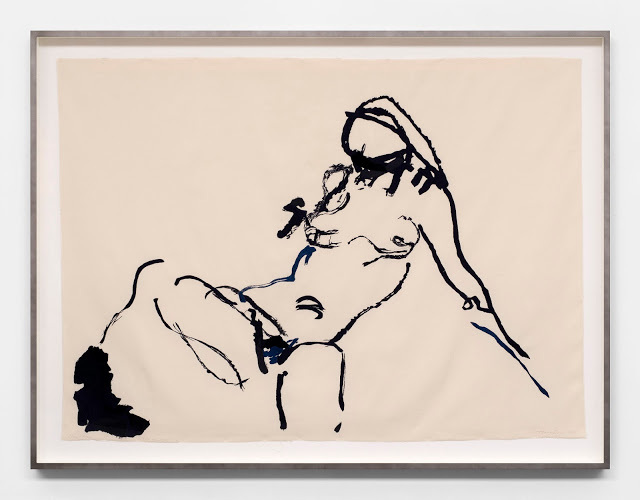 Tracey Emin, More time Just a-second x, 2016, embroidered calico 60 15/16 x 85 3/8 in., 154,9 x 217 cm. Courtesy the Artist and Xavier Hufkens, Brussels, photo credit: HV-studio, Brussels. Louise Bourgeois, THE FAMILY, 2008, gouache on paper, 15 1/2 x 12 in., 39,4 x 30,5 cm. Courtesy The Easton Foundation and Xavier Hufkens, Brussels, photo credit: The Easton Foundation. 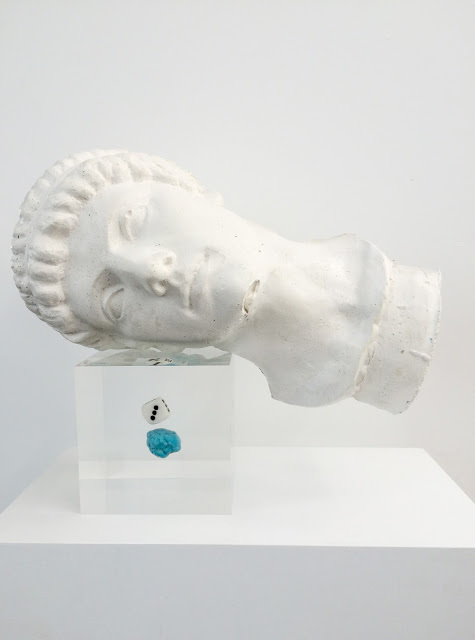 Transit Gallery: Works by Nikita Kadan: ‘Observations on Archives’, focuses on the narratives and traces of history, through archives and its unviability during social crisis. The history and testimony becomes dust/coal. 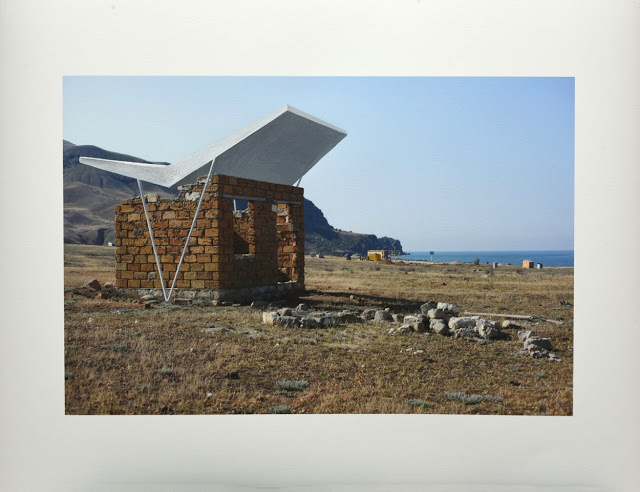 ‘Everybody wants to Live by the Sea’, displays a series of documentary images (with superimposed drawings of modernist architecture), about the history of instability on the Crimean peninsula that was once a soviet paradise and where only the frailty of ruins remain. 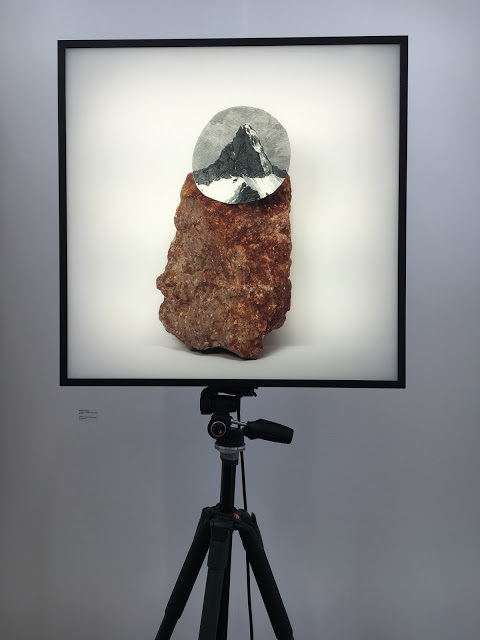 Art Brussels 2016 – view on the works of Nikita Kadan. Courtesy of Transit Gallery. Nikita Kadan, Observations on Archives – Customers on GDR-PL border, 2015, photo in wooden frame with coal, ed. 3 + 1 e.a., 32 x 22 x 7 cm. Courtesy Transit Gallery. Nikita Kadan, Everybody Wants to Live by the Sea, 2015, gouache & inkjet print on Museum Etching Paper, framed with museum glass, 47,3 x 64 cm. Courtesy Transit Gallery. Lyles & King: Works by Chris Hood and Philip Birch. Chris Hood paints on the back of the canvas, starting from defined references, which allude to advertisement and computer imagery, that are then blurred by the absorption of the layers of paint on the fabric. 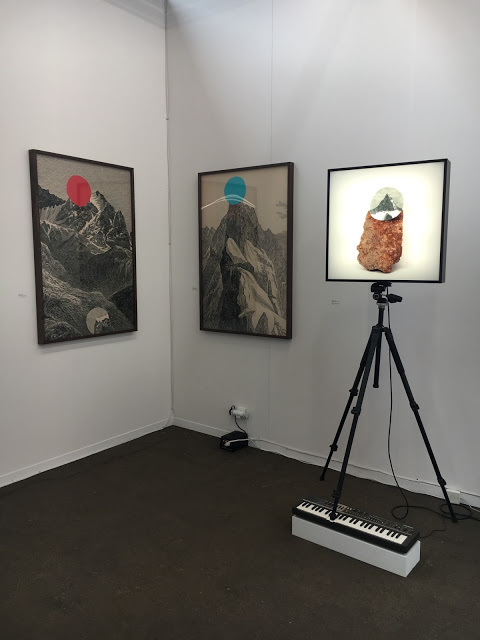 Chris Hood and Phillip Birch installation view at Lyles & King booth, Art Brussels, 2016. 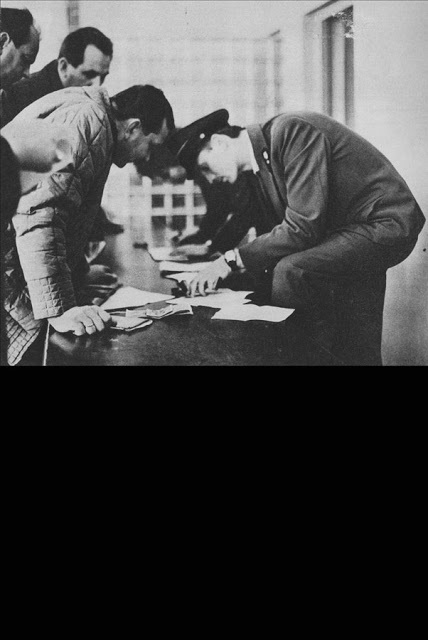 Image courtesy of Lyles & King. 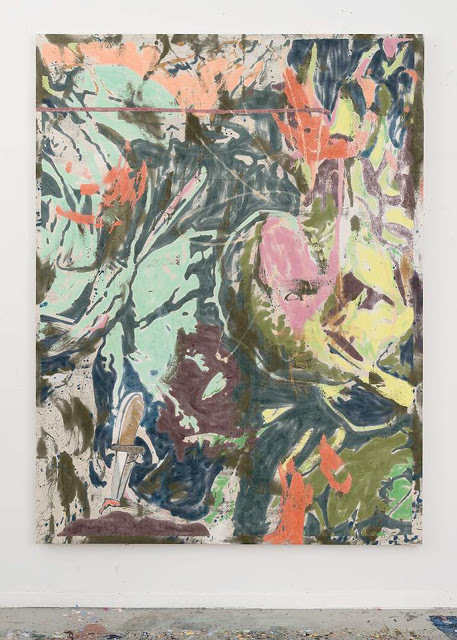 Chris Hood, To Be Titled, 2016, Oil on canvas, 200 x 150 cm, 78.7 x 59 inches. Image courtesy of Lyles & King. 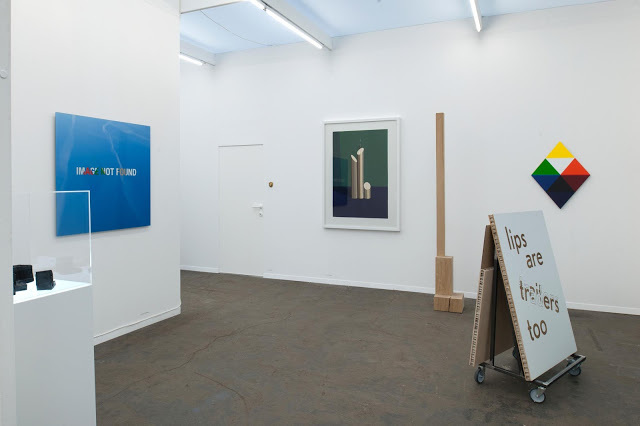 Polka Galerie: Solo show of Yves Marchand and Romain Meffre. 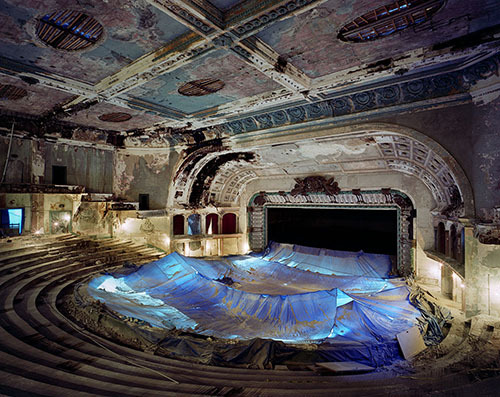 This show presents the collaboration of these two young photographers exploring the architecture of abandoned sites. 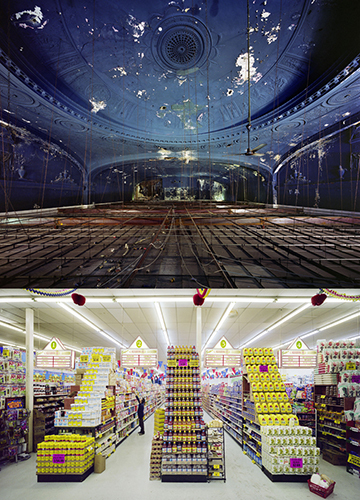 Yves Marchand & Romain Meffre, Gotham Theater (above and below), New York, USA, 2009, 210 x 150 cm, chromogenic prints,Diptych. Copyright, Yves Marchand & Romain Meffre courtesy Polka Galerie. 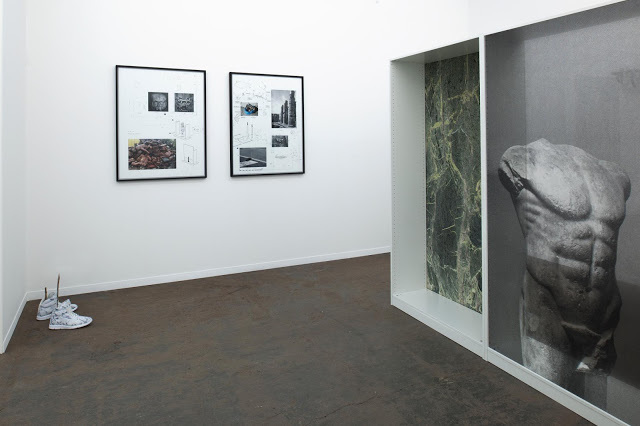 Galerie Ron Mandos:Works by Levi van Veluw, Hans Op de Beeck, Ivan Grubanov, Isaac Julien, and Renie Spoelstra. 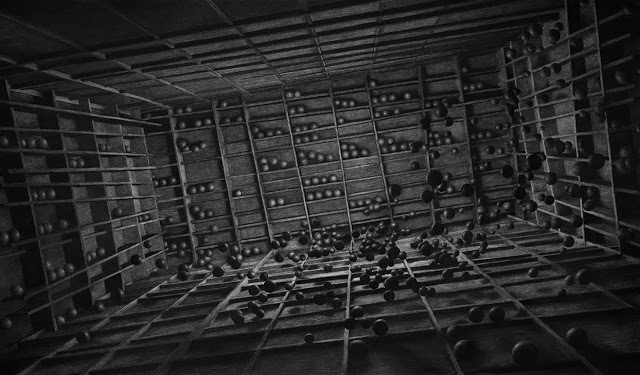 Levi van Veluw, Grid, 2013, 205 x 120 cm, charcoal on paper. Courtesy the artist and Galerie Ron Mandos. Aeroplastics: Works by Roger Wagner, Mark Titchner, Tom Dale, and Jason Bard Yarmosky. 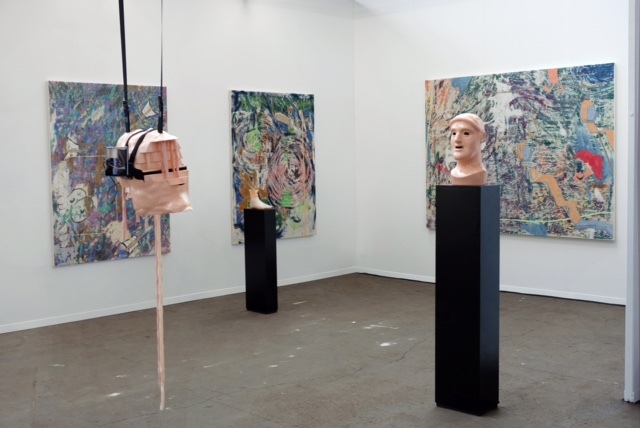 Roger Wagner installation view, Aeroplastics booth at Art Brussels 2016. Courtesy Aeroplastics contemporary, Brussels. 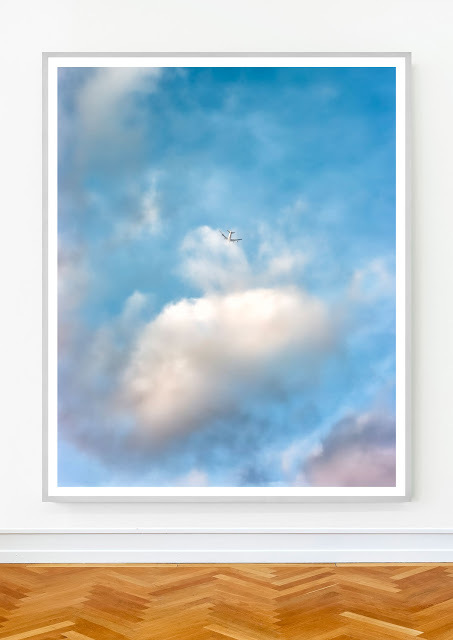 Roger Wagner, Self-Appropriation #6-15, 2015, Inkjet print on Hahnemühle Fineart Baryta Satin, framed 71 x 51 x 3 cm, ed. of 3. Courtesy Aeroplastics contemporary, Brussels. 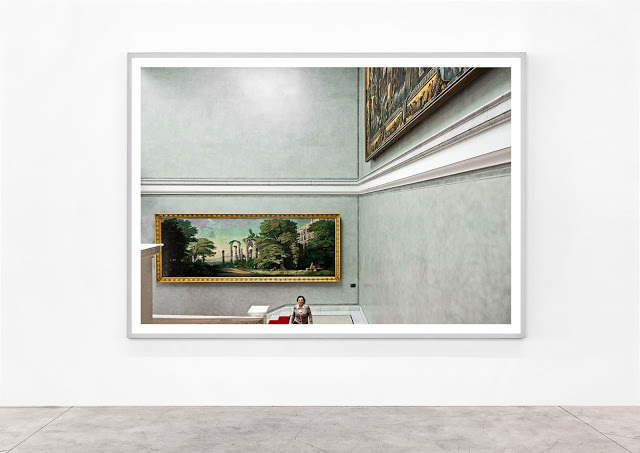 Roger Wagner, Self-Appropriation #23-15, 2015, Inkjet print on Hahnemühle Fineart Baryta Satin, framed 22 x 31 x 3 cm, ed. of 7. Courtesy Aeroplastics contemporary, Brussels. Meessen De Clercq: Works by Nicolàs Lamas, Kelly Schacht, Lieven De Boeck, Filip Gilissen, Fabrice Samyn, Maarten Vanden Eynde, Leon Vranken, Thu Van Tran, Chaim van Luit, and Claudio Parmiggiani. 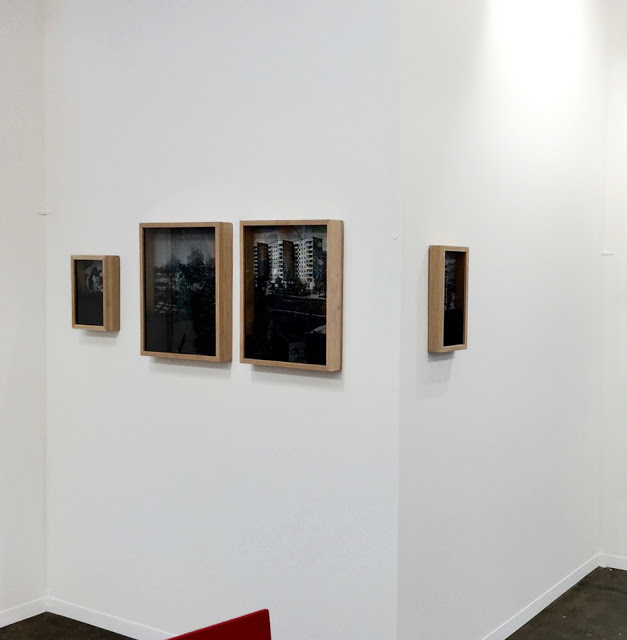 Meessen De Clercq installation view at Art Brussels 2016. Image Courtesy of Meessen De Clercq.